LaCenterra is more than the area's premier shopping destination - it's a lifestyle, an attitude, a relaxed way of living the good life. It's shopping down Main Street, an ice cream and a good book in the courtyard or a place to make friends and meet neighbors. It's upscale, yet relaxed; polished, yet never pretentious. 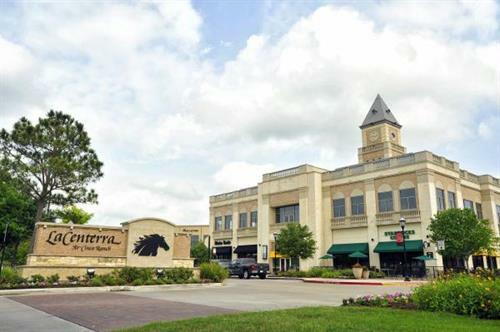 LaCenterra features national specialty retailers and unique boutiques, choice dining options, class ''A'' office space and luxury living. 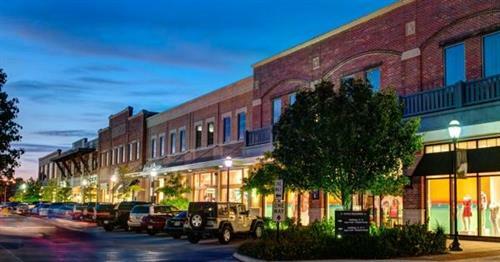 The center offers uptown style and old town charm - a place to shop, work, play and live in an in an open-air, pedestrian-friendly environment with outdoor common areas, lakes and water features. Current retailers include: Aurea Salon & Spa by AVEDA, Jeans Couture, J. Barton Clothiers, Coldwater Creek, Talbots, Gymboree, Jos. A. Bank Clothiers, Designs of the Interior, Johnny Rockets, The Wine Next Door, Cold Stone Creamery, Claire's Boutique, Merle Norman Cosmetics, Bath Junkie, Jamba Juice, Nestle Toll House Café, Starbucks, White House l Black Market, Chico's, J. Jill, Get Personal Katy, Eddie Bauer, Ann Taylor LOFT, Music & Art Center, Limited Too, Luke's Locker, First Bank, Panera Bread, Mission Burrito, Mint Clothing & Accessories, Baker St. Pub & Grill, Kenzo Sushi Bistro and Fish City Grill. 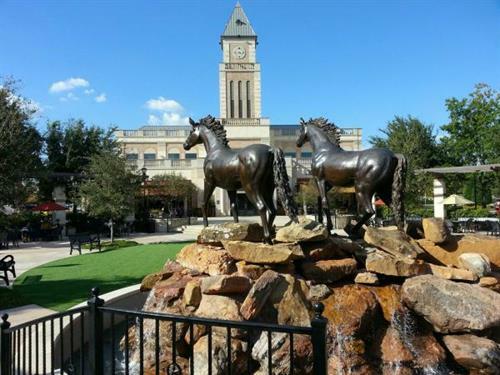 Coming soon to LaCenterra: Perry's Steakhouse and more! LaCenterra Gift Cards are now available! Great for gifts, employee incentives and new resident welcome packages. Vist the management office in Ste. B200 for more information. Visit the Farmers Market every Saturday from 9:00 a.m. to 1:00 p.m.
I-10 West exit Grand Parkway (99) south. Exit Cinco Ranch Blvd. West and we are on the left hand side, directly across from Cinco Ranch High School.